Most established university technical colleges (UTCs) are still more than half empty, a Schools Week analysis reveals. 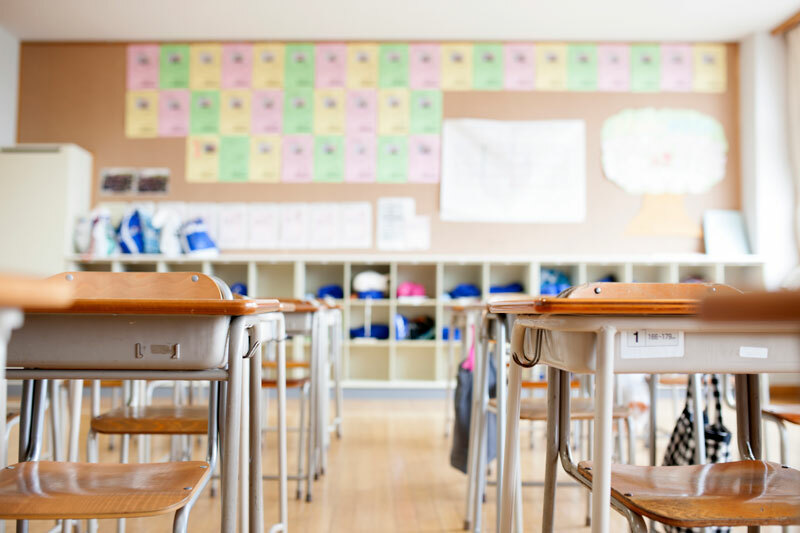 And nearly two-thirds also experienced a drop in pupil numbers this academic year. Ministers now face calls to scrap the “failing” project, just two years after the Conservative Party 2015 manifesto pledge to establish a UTC “within reach of every English city”. Janet Downs, from the Local Schools Network campaign group, said the figures showed UTCS were “not popular with pupils or parents”. Schools Week submitted freedom of information requests to the 26 UTCs that opened in 2014 or before asking for their 2016-17 pupil numbers. Of the 20 that responded, 11 (55 per cent) revealed they were still at less than 50 per cent capacity. UTC Plymouth, the emptiest UTC in the country, is at 24 per cent capacity, while Buckinghamshire UTC has 148 pupils, despite a capacity for 600 (25 per cent). 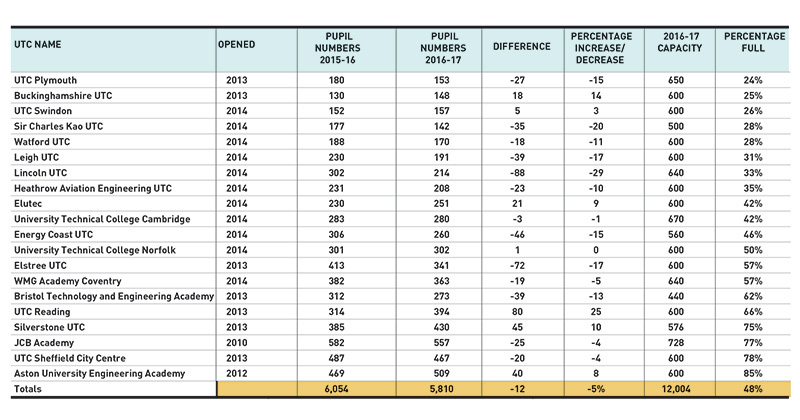 Schools Week also found pupil numbers fell this year at 13 of the 20 UTCs. The biggest dip was at Lincoln UTC where pupil numbers went from 302 in 2015-16 down to 214 – a drop of 29 per cent. Paul Batterbury, Lincoln UTC principal, said the decline was a result of the local council cutting free transport for UTC pupils, many of whom lived outside the catchment area. Energy Coast UTC, which received a financial notice to improve last month, had a 15 per cent drop from 306 pupils last year to 260. Cherry Tingle, who became principal last September, said reasons included concerns from parents that the UTC had three interim principals last year. Seven UTCS have now closed, or have announced closure. Each cost about £10 million to establish. Other UTCs, such as in Guildford, and Burton and South Derbyshire, have been scrapped before they opened. Sixty per cent of UTCs visited by Ofsted have also been rated “inadequate” or “requires improvement” – with a recent grade 4 report for Bolton UTC stating the college had knocked the confidence and aspirations of pupils. Michael Gove, the former education secretary and a key architect of the UTC programme, admitted earlier this year the experiment had failed. Malcolm Trobe, deputy general secretary of the Association of School and College Leaders, said there had been a “number of errors made in terms of the way UTCs have been brought into place”. A complete overhaul was needed to make the scheme a success. “UTCs and the curriculum they offer need to be part of an overarching area wide strategic plan for pupil places,” he said. He added that recruitment at 14 also needed to be reconsidered. A spokesperson for the Baker Dearing Educational Trust, which holds responsibility for overseeing UTCs, admitted it was “taking longer to fill UTCs than we would like”.